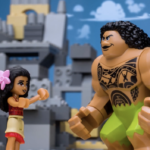 Comedian and Disney voice actor Scott Adsit today reprised his role as Baymax, the beloved personal healthcare companion from Big Hero 6 – in the newest episode from the Oh My Disney digital series “Disney IRL,” which brings Disney characters into the real world and captures the surprising reactions. 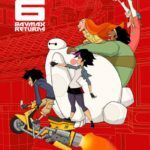 In “Baymax IRL,” surprised beachgoers were treated to a dose of Disney magic when everyone’s favorite robot healthcare companion comes to the rescue of passersby in distress for an adorable “in real life” experience. 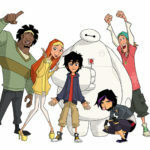 Baymax monitors pollen levels in the air, roots on a jogger and even hits the field to participate in a game of soccer. When Baymax comes to the real world to live out his life’s purpose – to help people – everyone is surely to be satisfied with their care. The debut episode of Disney Digital Network’s “Disney IRL,” in which Pixar voice actor Bob Peterson again took on the role of the talking dog “Dug” from the film Up in a hidden-camera video that quickly went viral, garnering 5 million views in the first 24 hours and 40 million views to-date. 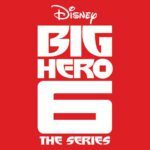 Baymax can be seen this Saturday on ABC when Big Hero 6 airs as part of The Wonderful World of Disney. The gang will also reunite for thier upcoming Disney XD series later this year.